The New Company Spokespeople are on Social Media Sites and Instant Chats; Should Execs Be Afraid? When I was in college, I remember taking a Public Relations Case Studies Class. In it, we talked about the different crises of the day. “What would you do about the Tylenol tampering?” My response was usually, “I wouldn’t ask a kid right out of college.” Not the most profound of answers, I know, but the truth. Fast-forward a few years and I’m working at a boutique agency, defending myself to my seasoned boss for not getting two placements a day (quick math, 10 a week). Not ”interests” or “sounds promising” – – actual “that will be running on Tuesday” placements. My response – to myself, my boss scared the heck out of me – was usually, “excuse me unreasonable person, you need a much more experienced person to consistently get 10 placements a week.” And for the record, I was not lacking confidence at all, 10 placements for what I was pitching wasn’t reasonable. Compelling message, meet appropriate audience. Looking back, whether dealing with a crisis or a proactive pitch, you need to have the experience and training to be adept in creating/developing/sculpting that compelling message for that appropriate audience. I think we can all agree that makes sense. Yes? So, why is it we are seeing more and more unskilled/untrained individuals manning (or womaning) company social media sites, Instant Chats, etc.? Understanding economics may prohibit having seasoned PR people available 24-7 to either act as a company spokesperson or respond to a “crisis” situation, it is critical to embrace the reality that those individuals who are on the Instant Chat, Twitter, Facebook, etc., are representing your company. Would you let an untrained person talk to a reporter at The Wall Street Journal? In many ways, today’s consumers are all reporters. Empathize with your real audience – Why are they reaching out to you? Odds are, not to just say, hi. There probably is an issue and it was important enough for them to reach out. Make sure you know what you can promise and deliver on it – You may start off as the consumer’s advocate, working with other departments within the company. Keep in touch with your customer (yes, now they are your customer) and, if possible, take the conversation off the public page until the resolution. Your customer may not agree with the outcome, but the hope is he/she (and everyone else reading the string) will understand. A couple of years ago, I developed my current company’s Facebook and Twitter pages and responded to more than my fair share of inquiries. Now, I have a very skilled (and I believe twenty-somethinger) monitoring and responding. She keeps me in the loop with her interactions and will ask for counsel when needed – – funny thing is, after all these years, I still think back at what my high school wrestling coach said. Still applies today. Words are powerful. They can unite. Motivate. They can hurt. Misrepresent. In our field, words are the foundation of strategic plans; the essence of key messages and the tools used to convince, sell and explain. Why then are so many, so quick to treat words as gospel? And why are so many, so quick to spread the words without fully embracing or understanding the ramifications of the words? Recent current events have only solidified trends that have been occurring for years. And social media has kicked it up a notch. How many times have we seen something reported and retweeted only to find out minutes or hours later that it was inaccurate? But what should we expect? We stretch the truth every day for a myriad of reasons. How often have you been in a meeting where you hear someone say something like, “Nobody understands the message” or “Everyone thinks that is a bad idea.” Really? Come to find out that the “nobody” was really three emails and “everyone” was a group of people at a happy hour. In other words, not so much nobody and everyone. Jon Stewart has said, “If everything is amplified, we hear nothing.” Amplification occurs when words are used carelessly, without checking the accuracy. We’ve become numb, substituting truth and fairness with being first and whenever possible our take on a particular situation. While I’m certainly not naive to think the world was much clearer years ago, I do think much of society’s quench for 15 minutes of fame has taken the idea of “the truth, the whole truth and nothing but the truth” to a much broader interpretation. And Facebook, Twitter and social media in general has given us the platform to shine the spotlight large and bright. I don’t know what the answer is; I do know part of my job is developing compelling messages for appropriate audiences. It can sometimes take me quite some time in determining the right words for the right people. Maybe we’d be better off if we all took a moment to breath before both sending/saying something and considering the source. 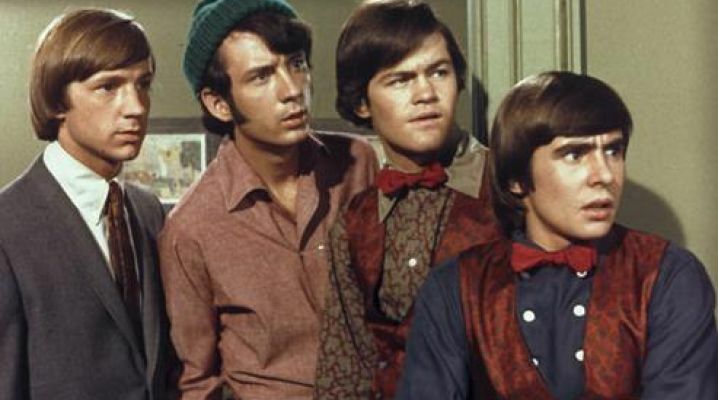 Maybe not, but at the very least I wrote a blog that included Jon Stewart and the Monkees.